Crochet cotton soft baby boy doll rattle. 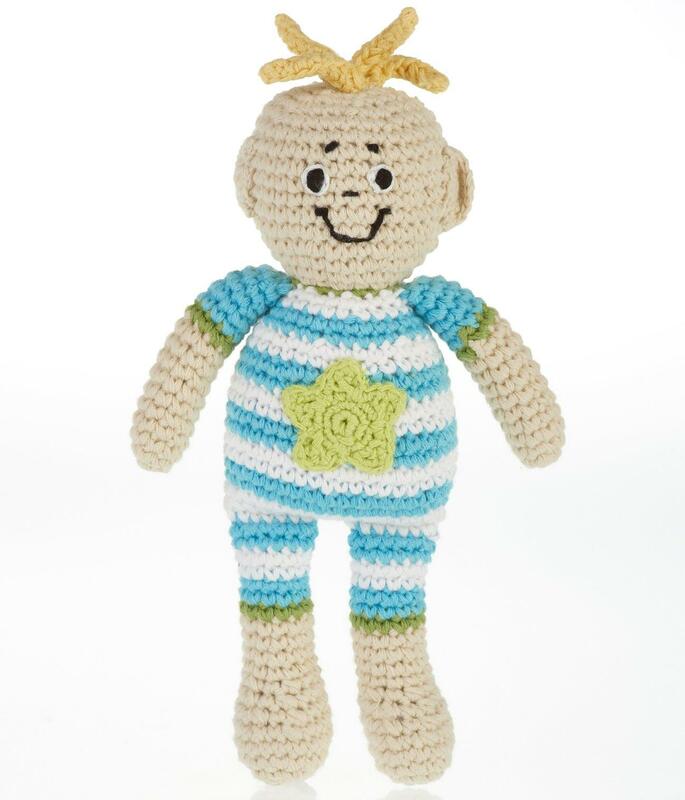 This handmade baby boy soft toy has a turquoise blue and white stripe baby body with a yellow star emblem and an endearing smile. Ideal first soft doll rattle for a baby. Fair trade and crochet from soft cotton yarn. Suitable from birth and machine washable.